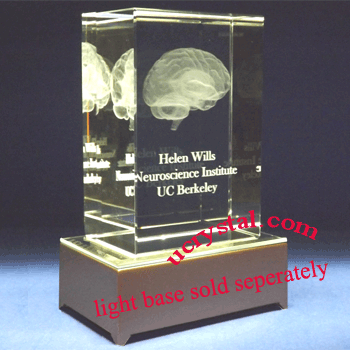 3D or 2D Selection: 2D - 4-3/4" x 3" x 2-3/8" 3D-1head shot(+$18.00) -4-3/4" x 3" x 2-3/8" 3D-2head shots(+$36.00) -4-3/4" x 3" x 2-3/8" 3D-3head shots(+$54.00) -4-3/4" x 3" x 2-3/8" 3D-4head shots(+$72.00) -4-3/4" x 3" x 2-3/8" 3D-1full body(+$50.00) -4-3/4" x 3" x 2-3/8" 3D-2full bodies(+$75.00) -4-3/4" x 3" x 2-3/8"
This 3D block photo crystal is 2-inches thick. 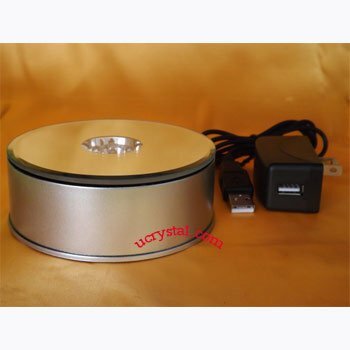 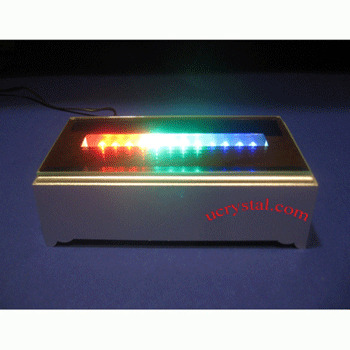 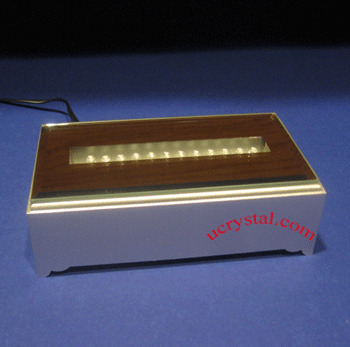 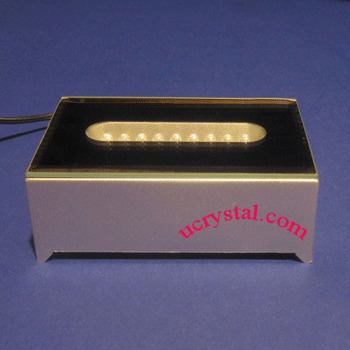 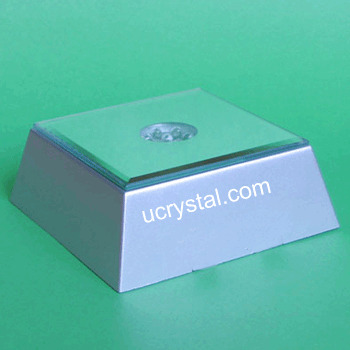 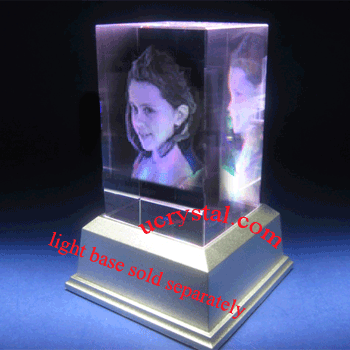 It can be used for both 2D and 3D laser crystal engraving. 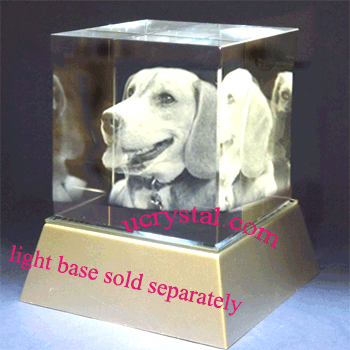 The displayed examples are from single front-view photos, which were converted to 3D images before engraving. 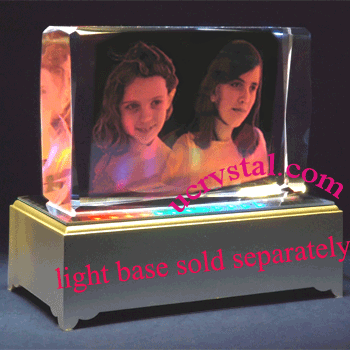 The 3D crystals can be personalized either in portrait or landscape. 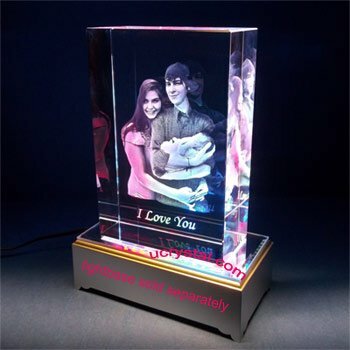 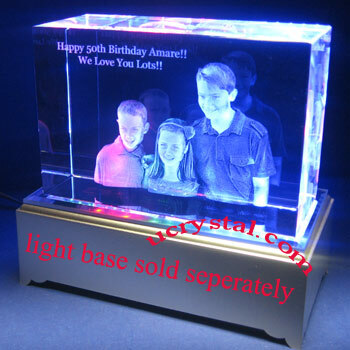 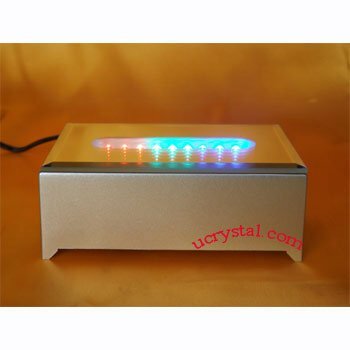 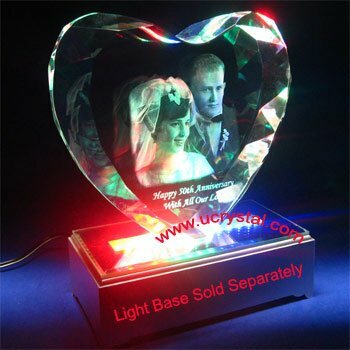 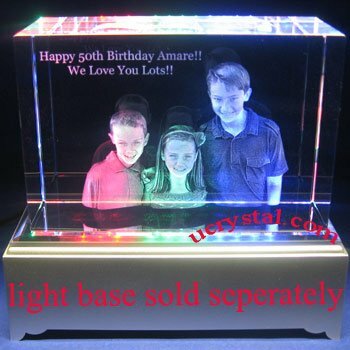 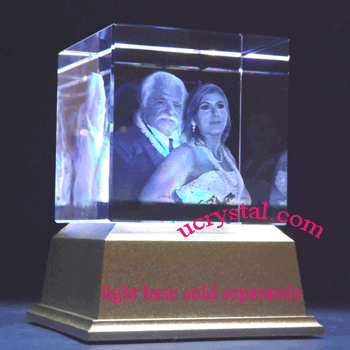 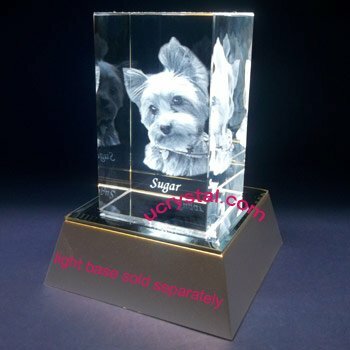 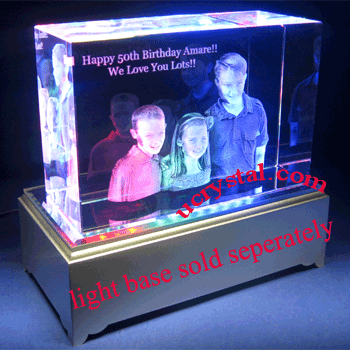 As the examples show, this 3D laser crystal is not only a perfect birthday gift but it is also a great crystal portrait memorial. 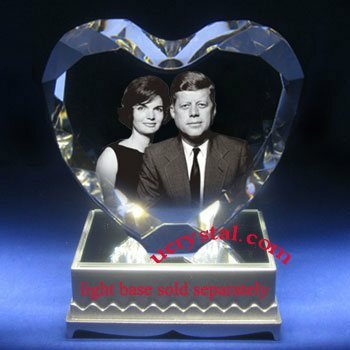 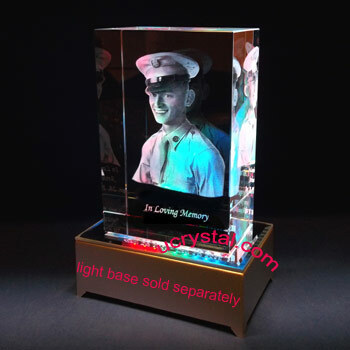 It adds great meaning to “Happy 50th Birthday.” And his services to our country are preserved “in loving memory” in this personalized 3D photo etched crystal. 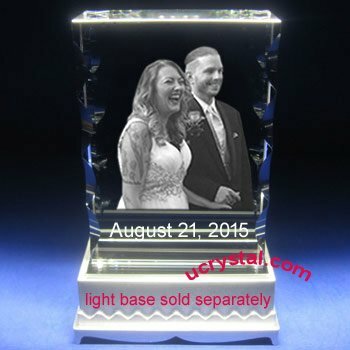 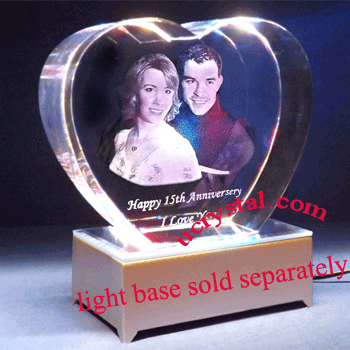 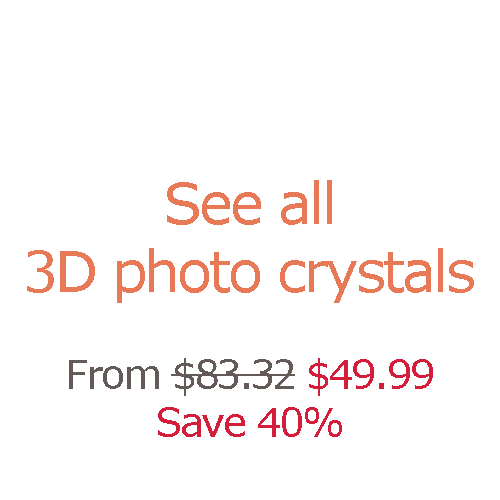 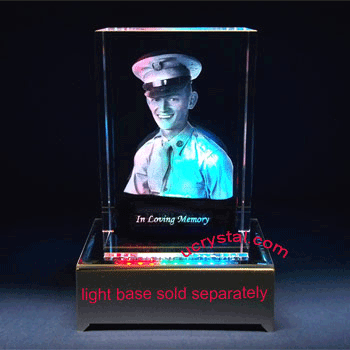 The engraved 3D photo crystal is best viewed with a dark background, or on a crystal light base.